Clean and quiet hotel. As most hotels in Nantes not cheap but for the rest fine. The hotel was absolutely fine. we chose the hotel for location. The room was fine and staff very friendly on reception. Breakfast staff were not very friendly. we chose the hotel as we were visiting our daughter at Art school in Nantes. It was a 1 night stay before catching an early flight. Good welcome/check-in by staff (Amandine if I remember well), convenient parking, comfy room. Floor of bathroom was a bit cold. Would have liked an online check-out, just drop the key and leave. Wonderful stopover experience on the way south. Close to all the activity without being in it. All the facilities needed for a City Break. And a grand view. A lot more interesting things to visit /see than we were expecting. sofa beds very inconfortable in the suite. sofa beds very inconfortable in the suite. Also room was full of mosquitos. I called the night service and got a spray. Problem solved. Lovely rooms with great view, very attentive staff. The hotel is in a great location, close to but just far enough away from the hustle bustle of the city. Tram is right on doorstep too. Our room had a great view of river and town and off street parking is a further bonus. The breakfast is pricy but does include a great range. I came for business purposes, so I stayed for six days and five nights. The Hotel is comfortable, well situated and the staff are nice. The room is clean, the restaurant is ok and room service is good. Quality-wise, I was expecting more in many ways for what I normally get from my stays in Novotels. Service-wise, it was very satisfying but for exemple, in my room service ordered dish, I was offered industrial sauces in plastic sachets. The bathroom was shower only. It would be nice for an establishment of this quality to have tub, regardless if I have time or not to take a long, relaxing bath. It is very well situated, near downtown Nantes and the train station. The view from the room is absolutely beautiful. However, I didn't have the impression of the usual feeling of comfort that I get when staying at this brand (Novotel). There is something missing to make it more cozy. The bed and pillows were relatively uncomfortable but all this of course, is very relative. However, I've found better beds and better pillows on lower starred establishments like Ibis, where I sleep from time to time too. The rooms are nice but there is something lacking. Most Novotels have some sort of interior attractiveness that gives this extra and makes me want to sleep at them, whenever I must stay at an Hotel. I didn't find this at this Hotel this time. I was expecting a bit more from Novotel. Of course, a swimming pool would add great added value but again, in the end of they, one must do with what one has. 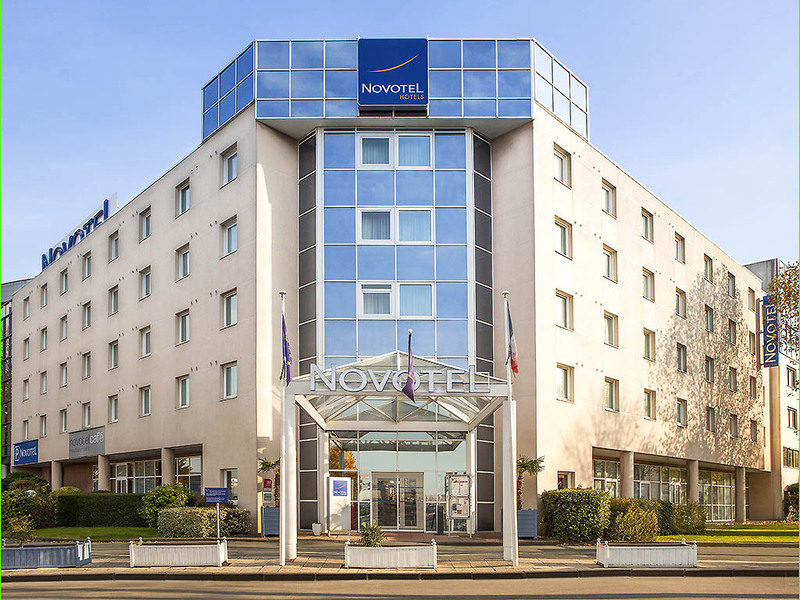 it was in general a decent stay but it didn't fully satisfied me like other Novotels usually do. The room was good and clean. The breakfast was also good. The main bed was very comfortable but the kids sofa beds were very uncomfortable with springs in the mattress. really good stay, good breakfast, free safe to use witch is unusual, really comfy beds. The room was fine, great shower, comfortable beds, bonus of drinks fridge with water. A little bit of noise from the skate park opposite kept us awake. Breakfast is a little expensive and we wasn't made aware of the cost until check out so was a bit shocked with the price. All in all it was a pleasant stay and we would stay again. Location was ok for one night in transit but would not stay there for longer / sightseeing. Food was dreadful waitress smelled of alcohol.